Many people move to Parker, CO to because it is a growing community with a small town feel. Just 26 miles from Denver, the growing job market, variable cost of living, schools, and low crime rate in Parker are all very attractive to those seeking to relocate. How many people live in Parker? Parker, Colorado's estimated population is 87,528. It is the 19th largest city in Colorado based on official 2017 estimates from the US Census Bureau. The median income in Parker , CO is $100,469 and the median home value is $304,700, which should give you a pretty good idea of its affordability. As of July 2018, average rent for an apartment in Parker, CO is $1509 which is a 9.34% decrease from last year when the average rent was $1650 , and a 0.07% decrease from last month when the average rent was $1510. Many Parker residents commute to the nearby Denver Tech Center or downtown area for work, so homes here serve as a retreat from the hustle and bustle of their urban work lives where they can relax and enjoy pleasant views, spacious homes with room to grow and easy access to many convenient amenities and services. Parker Call-n-Ride: Provides local curb to curb bus service in limited areas of Parker. Route P: (Parker / Denver): Provides commuter service to downtown Denver. Route 483: (Parker Road / Lincoln Ave): Provides commuter service to the Lincoln Light Rail station and the Nine Mail Light Rail Station in Aurora. This new route replaced both Route 410 and Route 153. Access-a-Ride: Provides service to residents with disabilities; pick-up locations are limited to locations within ¾ mile of a fixed route. Parker is a part of the Douglass County school dstrict. There are 21 public and charter schools in district. Parker has a high school graduation rate of 98% with 54% of students getting college degrees. Parker has a movie theater, a miniature golf course, a skate park, a waterpark, many outdoor parks, several recreational centers, and a wide variety of retail outlets and restaurants. 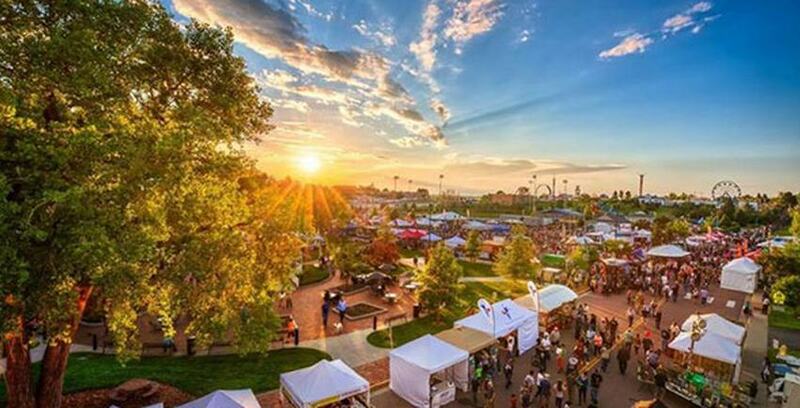 Parker Days is a weekend festival that occurs in early to mid June and features live entertainment, great food, and fun rides for people of all ages. Just outside of Parker you will find Park Meadows Mall, a shopping mall that features a number of high-end retail outlets.